On Instagram, not all your followers will see your posts displayed in their feed unless you pay for some Instagram advertising. In fact, only a small percentage of your followers will see your posts in their Instagram feed. And if you want to increase the number of people who do, the fastest and easiest way is to pay for it through Instagram advertising if you have an Instagram business account. However, if you don’t want to rely on Instagram advertising to display your posts to more people, there are still some strategies you can apply when posting, to increase your Instagram reach organically. First, you have to understand how the Instagram algorithm works. Instagram displays posts in someone’s newsfeed based on 2 things. 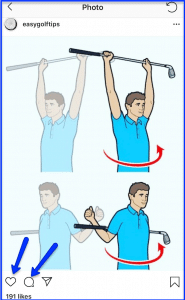 The people they follow and the types of posts you engage with. In other words, you could be following the exact same accounts as someone else and your Instagram newsfeed could look very different. Instagram won’t show your posts chronologically either, based on when they were published. They will prioritize them by showing the posts at the top you’re most likely to be interested in. Then, to increase your Instagram reach you have to publish your posts at optimal times by checking your Instagram metrics. To find out when the best time to post is for you, simply check your Instagram metrics in the analytics section of your Instagram business account. To do so, go to your Instagram business profile and click on the 3 lines on the top right hand side and click on “insights”. Then, select “audience” and scroll all the way down where it says “followers”. There, you’ll see your Instagram metrics and the specific days and times most of your followers are on Instagram. The second way to increase your Instagram organic reach is by including hashtags in your posts strategically. Instagram allows you to include up to 30 hashtags per post and when you do, your posts are more likely to be found by people regardless of whether they follow you or not, because they can look for posts linked to certain hashtags. 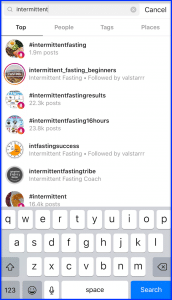 So for example, if people are looking for specific content about Intermittent Fasting, they are likely to look for posts which include the hashtag #intermittentfasting and if your posts include this hashtag, then the chances they will come across them are quite high. However, make sure you don’t include hashtags that are too generic such as #happy #fitness #weightloss because you’ll be competing with too many posts. Instead, make sure your hashtags are more specific. In addition, make sure your 30 hashtags are not always the same for every single post you publish. Customize your list of hashtags according to the specific post. The third way to increase your Instagram organic reach and Instagram engagement is by publishing quality, unique, eye catching posts that are relevant to your audience. Make sure they are not always the same types of posts, instead, vary them to make your Instagram business profile more interesting. 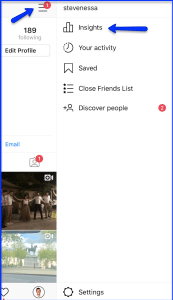 In addition, make sure that your posts are the right size for Instagram, ideally 1080 x 1080 pixels so that the image is perfectly square and big enough. Remember, Instagram is like a magazine version of your business, so images have to be high quality and aligned with your branding. The fourth way to increase your Instagram organic reach is by working towards increasing your Instagram engagement rate. In other words, increase the amount of people who actually interact with your posts by sharing them, commenting on them and liking them. To do so, one of the most effective ways is to engage with other Instagram users yourself. Look at posts on Instagram that are similar to yours by performing a keyword search in Instagram’s search bar and look at who engages with those posts. Once you find targeted, engaged users, start commenting, sharing or liking their posts. When you do, they’ll receive a notification which will draw attention to your Instagram business profile and posts. The more engaged you are, the more Instagram engagement you’ll receive and Instagram will start displaying your posts to more people. The fifth way to increase your Instagram organic reach is by embedding your posts on your website, email newsletter or blog. By adding your Instagram post to your website or blog, more people will be able to see it, regardless of whether they are active Instagram users or not, so your Instagram reach is almost unlimited. Simply go to your Instagram business account on a desktop computer, click on the 3 dots and then select “embed”. Then copy the code and paste it where you want it to be displayed on your website newsletter or blog. A sixth way to increase the organic reach of your Instagram posts is by taking advantage of user generated content. 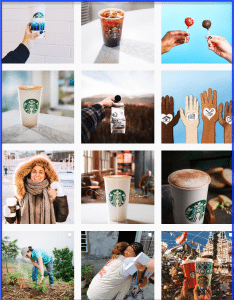 User generated content is any post from an Instagram user who has tagged your Instagram username in their post or has included your unique branded hashtag in their post. And the more people tag you in their posts, the more Instagram organic reach you benefit from because you get to tap into their audience. In order to encourage more people to tag you or your brand in their posts, make sure you acknowledge them when they do, and like, comment or share their post. You can encourage user generated content further by openly inviting your followers to publish pictures related to your brand or products and rewarding them for it. For example, you could invite people to publish a picture of them using your product and adding your hashtag or Instagram username to their post, and then rewarding the person with the most beautiful or most original picture. Starbucks for example takes advantage of user generated content quite often. 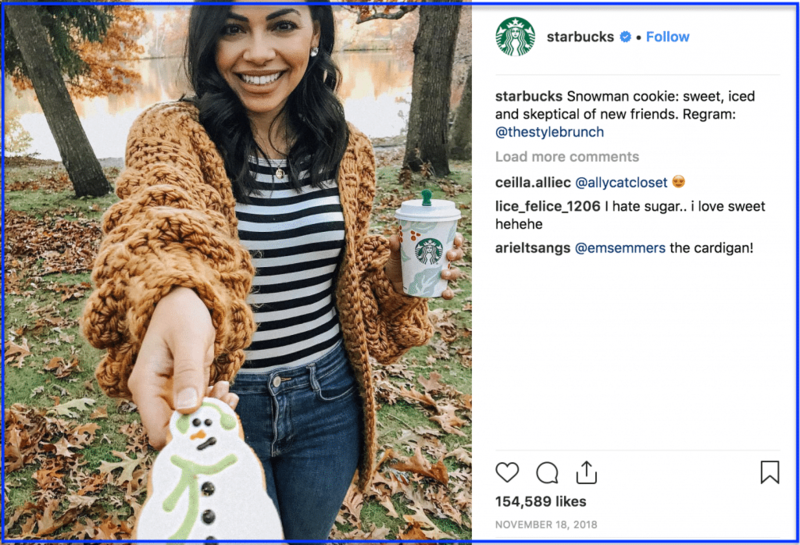 In this post for example, this person has published a picture of herself holding a Starbucks cup and tagged Starbucks in her caption, so in exchange, Instagram has shared her post with their followers.